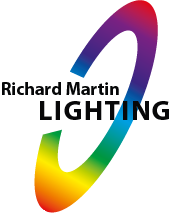 At Richard Martin Lighting we recognise that we have a responsibility to the environment. We are committed to reducing our environmental impact and continually improving our environmental performance as an integral part of our business strategy and operating methods. We will encourage customers, supplier and other stakeholders to do the same by publishing this policy on our website. The Operations Manager is responsible for ensuring that this environmental policy is implemented. However, ALL employees have a responsibility in their area to ensure that the aims and objective of this policy are met.